We all can be a little careless with our skin care efforts at times, whether it's a (gasp) lack of sun protection, poor lifestyle choices or another rotation around the sun that is starting to show up on your face. You know, in the form of hyperpigmentation (dark spots), uneven texture, breakouts or wrinkles leaving you a little less glowy than usual. Fear not, for there is a solution (that doesn't involve costly trips to the facialist or injecting anything into your face) — a new wave of skin resurfacing treatments (aka exfoliating treatments) that will leave you with soft, smooth, even skin. Using chemical or physical exfoliation, the treatments are available via face masks, moisturizers, serums — and everything in between. And the good news is, they don't require a lofty time commitment. 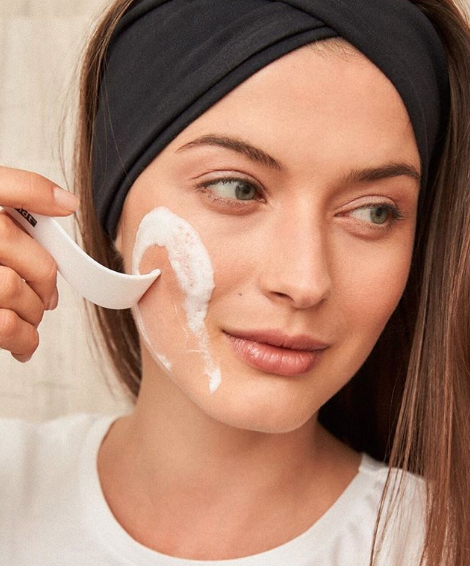 Peek ahead for ten of our favorite skin resurfacing products that will undo summer damage and leave you with clear, glowy skin.